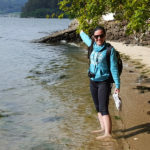 Home / Blog / Webinar: Camino history, routes and travel tips! Webinar: Camino history, routes and travel tips! This week Felicia presented our first webinar on the year. She focused on the history of the Camino, the most popular walking routes and travel tips along the way. The talk took place on January 19th and was streamed to attendees from 10 countries worldwide. The ancient routes of the Camino de Santiago are an ideal holiday for walkers looking to experience something new each day. The most popular routes include the Camino Frances (French Way), the Camino Portugues and the Northern Way. Each route is unique with stunning landscapes, delicious food and you will bump into pilgrims from all over the world. For more information about our free webinars or the Camino de Santiago routes please contact one of our travel specialists.